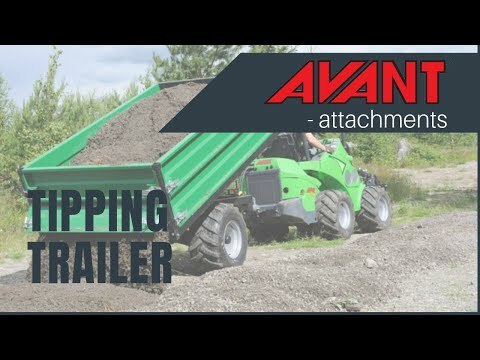 Tipping Trailer - Reach It! - Move It! - Crush It! Avant tipping trailer is available in two models: with carrying capacity of 1200 kg or 1800 kg. Both are equipped with hydraulic tipping. All sides can be removed if necessary. Extra side set is available as an option for the smaller model, on the bigger model it is standard. ATTENTION! The loader must be equipped with the double acting rear auxiliary hydraulics outlet and trailer coupling.